Theme developers have provided a great support forum and tutorials for step by step setup. They have also provided PageSpeed guide to speed up your blog. Here, I am going to share some simple ideas which I have learned while optimizing my own blogs. I am considering you have self-hosted WordPress blog with Newspaper theme active. WP Super Cache plugin is a recommended cache plugin by tagDiv. It serves static contents to the visitor which improve page load speed. CloudFlare is a free CDN which cache all the resources from your website and serve them to the users from their servers which are located across the globe. This reduces the load time of your website. Options you have to enable on CloudFlare’s dashboard. We are almost done here, now will go with sensitive part of this tutorial. You have to modify the code in .htaccess the file. If anything goes wrong while editing, .htaccess your site may show a blank page or Error 500. ExpiresByType font/truetype "access plus 604800 seconds"
ExpiresByType font/opentype "access plus 604800 seconds"
ExpiresByType application/vnd.ms-fontobject "access plus 604800 seconds"
NOTE: If you have Optimize Website module enabled. It is located in your cPanel under Software. Then just remove the following code from a .htaccess file. It is highlighted with red color in the above code. As discussed with the tagDiv team it confirmed that theme uses admin-ajax.php almost for every block to request the Server and many of the features themes uses this way to query the server and may increase WordPress server load time. 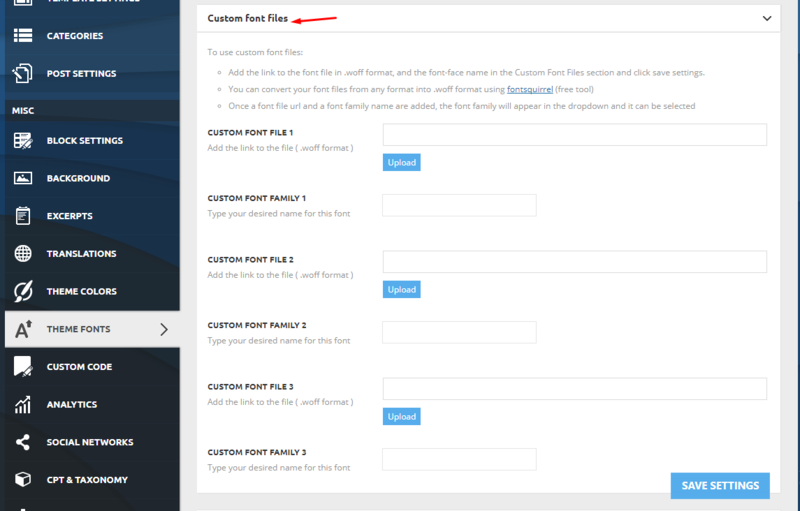 So, to reduce admin-ajax requests trim down the block ajax options meaning the blocks pagination and ajax filters. Turn off the Ajax view count. Also, make sure you do not use too many different types of blocks. It’s better to check my guide to reduce admin-ajax server load in WordPress. The theme comes with lazy load feature. Enabling lazy load can reduce the numbers of requests. To use icons in the theme, you have to use Font Awesome plugin. There are a LOT of icons, and if you’re not using them, then there’s no point in loading all of them. You need some of these icons for various elements throughout the theme. So you can add a little filter to script so that it only loads essentials. To do so, put the following code in your theme’s functions.php file. Newspaper theme comes with inbuilt embed script so there’s no need to use embed script by the core WordPress. It’s it better to deregister by adding the following code to the end of your theme’s functions.php file. This will also reduce HTTP requests to the server. Jetpack is one of the best plugins to enhance functionality and the security of your WordPress site. Jetpack’s single sign-on (SSO) feature is the best option to deal with the brute force attacks. Use my guide to enable single sign-on for your WordPress site. But the scripts and the CSS that been loading by Jetpack are not necessary for this. So it’s better to remove them. Add the following code to your theme’s functions.php to remove scripts by Jetpack plugin. In last update tagDiv and combined td-composer and multipurpose plugin so it’s a good idea to remove the style loaded by the plugin if you are not using any module that is provided by the multipurpose plugin. Add the following code to your child theme’s functions.php file. That’s it, you are done with the optimization now check your website’s performance score at GTMetrix.com. I am sure you are much satisfied with the speed. If you stuck somewhere feel free to drop a comment below. Note that you can’t add expires header for the 3rd party contents. On checking, I didn’t find CloudFlare enabled on your site. Which Lazy Load plugin do you recommend? I have tested Lazy Load [https://wordpress.org/plugins/lazy-load/] with Newspaper theme and it works really well. 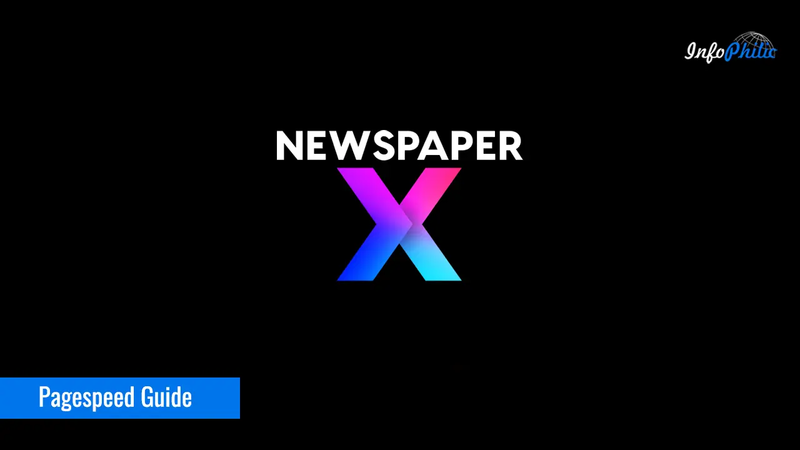 Yes, It works fine with Newsmag theme. Reply here if you need further help. Thanks Amit for the Tutorial. The object-cache.php returned error and turn my site off. I have set others as stated but the search function seems not working anymore on desktop version. You can check the demo by clicking on my name. What next??? to fix the object cache error Make sure, you have XCache module enabled for your server. I am using cloudflare and wp rocket for caching and getting like a 98/100 but the search, more from author, infinite load wont work unless cloudflare rocketscript it off which then takes my page load time way up. I downloaded wp super cache and tried your way and I get an F score on gtmetrix. Any idea why? 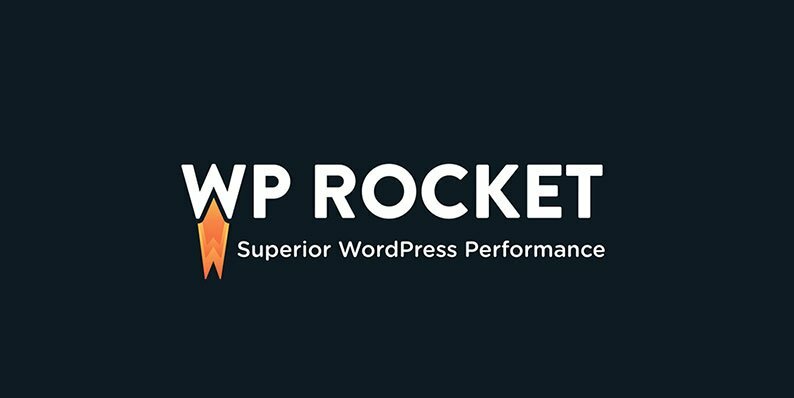 Upon checking your website, I can see you are using WP Rocket cache plugin. Kindly purge all WordPress, CDN cache including browser cookies and test your site using GTmetrix. I did but that doesn’t stop the issues with search, more from author, infinite load not working. They only start working when I disable rocketscript on cloudflare. Doesn’t matter which cache plugin I use. Thanks for the help but that didn’t work either…blahhhh I cleared all caches and everything. I dunno how your doing it! Hello, thank you for these tips! I'm still at 59% so will keep exploring how to fix that. You must add expire headers to WordPress to improve browser caching. Make sure you set minimum 8 days time period. Hello Amit, I came here from Newpaper forum. Really appreciate your input. Our site mayapurvoice was shown green (score around 85) in Google page speed insight but after upgrading either some plugin/s or the theme itself the speed score plummeted to below 60 (couldn't ascertain the culprit although I tried disabling plugins and stuff.. will try downgrading the theme if nothing works). I went through your suggestions and they all make sense to me but I have a question before I install Could flare. Do you know if this plugin doesn't bring a desired result and if I disable and delete it, will it undo the changes it may have done to my theme and other settings? I ask this because one security plugin screwed up my .htaccess file and although I deleted the plugin, it didn't put back my original .htaccess file. Not only that, the plugin didn't even create (or at least I couldn't find) a back up of that file and I had to re-enter some entries manually. Perhaps that also has affected my page speed but I am not sure. On top of that, I spent days before finding it to be the reason for my cron job issues. Anyway that's a side point. The number of posts and images on our homepage should not be a real issue as more or less the same were there when it was in green. Your input will be useful. Thanks again for the post on Newspaper forum and here. I have inspected your site, It's loading fine on my end. All you need to optimize images on your website. It will surely add some positive points to Google page speed score. Installing CloudFlare plugin doesn't change any existing file (.htaccess) on your server. Newspaper 7 recommends disabling Rocket Loader for the incompatibility it causes. What you did to fix this, for example the search button gets error and several other things. All you need to minify scripts correctly. Don't over minify the scripts, use CloudFlare alone for the minification. And purge all the cache. 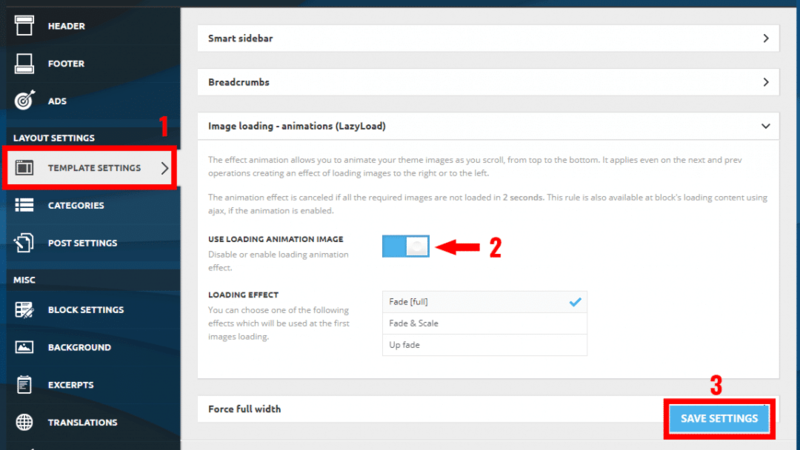 If you face image loading issue on successful activation of Rocket loader, reactivating Image load animation (Lazy load) from the theme control panel. I am glad I’ve been able to help. I have updated the tutorial to fix Admin ajax issue. It is work for newsmag? Very super article and it was very helpful for increasing the frontpage. However, almost all of the tests-increase your site speed tutorials are based on the frontpage and it's about the article because they have to rank. Upon I speed test an individual post the results turned into red. Al lot of scripts are in the header. I have updated this guide to remove some unwanted scripts. I have checked your site and found you are not using CloudFlare. Only enable Gzip with a single setup. I recommend you to install WP Super Cache plugin without adding Gzip code on .htaccess and remove other expiry header code from it. 1. Cache plugin takes some time to build all the cache. I also installed WP Super cache with the settings you recommend and the site is loading slower, but the score on Page speed insights is better? Not sure why this is happening? Any idea how long it takes to build up all the cache? As I can see, you using custom headers for your blog. Are you using any cache service from the hosting end? I think not. Also when I clean the htaccess and leave it default the site speed does not improve at all. You have added some code (added by W3 Total cache plugin) on root htaccess for the main domain that adding header to your blog as well. Come on Speed Booster is a TOTAL JOKE! There are NO compatabilities. I removed 7 plugins and it just kept saying disabled, yet another thing isn't compatable. You have to add them to the exception in order to make Speed booster work. But I have removed this plugin because i am using it on cloudflare already. So why double minifying it and the less plugins you're using the better it is. It's or speed booster or Cloud flare, not speed booster and cloud flare. I have to say, this is exciting to see! My site seems to have some problems that I cannot seem to figure out. http://www.rootfantasysports.com – I did most of what you said, however, I couldn't figure out what you meant by "disable object cache" and the ajax issue I do not understand and how to do. Furthermore, I am encountering an even bigger issue. My mobile site (apparently, just the Home (front) page ONLY loads code…how can this be?? How did this happen? Please help if you can! I have checked your site. There is no issue related to the admin-ajax.php file. To fix your mobile site issue, Go to Jetpack settings and disable mobile theme feature. That’s it. So do I need to use this code? You don’t need to add Expiry header code in htaccess. WP Rocket comes with it. My blog (https://poupaeganha.pt/) runs on NGINX server, do you have any special instructions in this case? The instructions in the guide are applicable for both NGINX and APACHE. As NGINX does not support .htaccess files you can skip Step for Browser Caching. One question — when updating the function.php file, do I copy-paste the filtering code into the file with the references to 'infophilic'? Are those recognized by Newspaper theme… or am I missing something?!? Yes, just copy paste code in theme’s functions.php, Newspaper theme will recognize them. I have checked your site and it’s loading fast with good score. Thank you Amit, I will update the function.php file right away and let you know about the results! Make sure you're not using defer and minification at the same time. Hello, I use WP super cache. Do I need to disable it if I want to use CDN? Do I need to remove everything from my .htaccess if I am going to use CDN? You can use both CDN and WP Super cache together. Also, you do not need to make any changes to .htaccess file. Thanks. I have put this to my .htaccess file. # Manual editing of this file may result in unexpected behavior. No need to make changes. I am unable to access your site. Use Fast Velocity Minify by Raul Peixoto for the minification. The other suggestion they have is to use cookie free domain. What are your thoughts on using a subdomain for images? You can only add expiry headers in responses to requests that go to your own server. If the request goes to another server, say Google’s server, then it’s Google’s server that answers the request. So the only solution to your problem is hosting that external resources on your own server. You can use custom font files option in Theme Panel. Refer attached screenshot. You don’t need to use sub domain for images when you’re using CloudFlare or any other CDN. It’s just a name for filter hook. Such a great guide. Can you please tell me Which caching plugin are you using for your site? Glad, you find this guide helpful. I am using WP Super Cache on my site. I don't use any cache plugin and CDN services right now. Desktop page speed is showing good but the mobile speed is 47%. Can you give me a proper suggestion? Is the CDN service necessary to use? Reducing the number of scripts will help you to get better score and speed. If you have high traffic from different countries then you must use CDN. It will surely reduce the server load. Is there any problem to use the both plugin? yea, you can use Autoptimize plugin with WP Super Cache. Can I use Autoptimize + WP Super Cache + CloudFlare CDN? Thanks. This is because PHP session function being called unconditionally. You should use SFTP/FTP to make changes to the file. This will surely solve your problem. I followed all these steps and I found some improvement in my newspaper. But google webmaster tool showing me some URL error which newspaper theme. now tell me how to solve this issue. Related to errors in Google Webmaster tool, can you show what are those URL? Or you can ask tagDiv team on their forum. They are very kind. I have been practicing with CloudFlare for a while now, and essentially the goal was to improve my sites performance. The extra security is an extended bonus for me. About my opinion, it helps me a lot. I am fortunate that I chose to use their settings and now that they have added more free tools, it delivers it all high. I have discovered though that there are several matters as far as analytics and SEO are concerned. For better SEO, I have not observed any difference, but for statistics, it made some positive changes from improving the bounce rate to getting more subscribers. I am not so that much able to calculate those figures are especially with the integration of Google Analytics. Something I am still looking very carefully. I will see and update you. Though it’s been great, and I’m happy to be using CloudFlare for my writing blog. The page loading speed improvements solely are worth it, but the technique to prevent threats and the awareness that my blog will always be online are also valuable. 156.8KiB of the HTML response was required to render the above-the-fold content. This requires 4 network round-trips. Prioritize the above-the-fold content so that it can be rendered with only the first 2 round-trips’ worth of HTML. Only about 3% of the final above-the-fold content could be rendered with the HTML delivered within 2 round-trips. This is a most common issue you face when you combine the CSS and JS files. You can solve this by adding Fallback critical CSS. NO, it will not affect either theme or AdSense ads. Great insights and I have implemented the changes apart from Lazy Load. Because I think it affects my Adsense earnings. Is this correct? Lazy load in theme will not affect your AdSense earnings. Why the new wordpress 5.0 editor not working properly in tagdiv theme?? After 4 blocks or paragraphs, it’s getting covered the paragraphs. I didn’t find any issue with one other theme. I am not facing this issue. You can use Classic block for composing your posts using Gutenberg. Am I to remove your site name and add mine where applicable? There is no need to remove site name. Same code will work for your website. Which tool you’re using to check page speed? As soon as we enable rocket load on cloudflare, it puts a screen on top of our website, something like an overlay. This is a known issue, what is the work around? Also if we have an Indian server and we are aiming Indian users, should we go for cloudflare? Clear all browser cache and cookies after enabling Rocket loader. Generally, I don’t use CloudFlare on the site with single country audience. How can we get mobile and desktop speed index to 90. Right now mobile one is quite bad. Raj, you have a good score on Google page speed. Thanks for the insight on speeding up my site. I tried almost everything in this tutorial and I can confidently say that my site speed improved. Thanks again. Thank you very much for this. My site speed is lightning fast now. But I started getting 500 internal server errors sometimes, is it because of less php memory limit or did I do the htaccess edit wrong way? Glad, you find this helpful. It should not because of wrong htaccess edit. You must check theme’s system status page under Newspaper and make changes accordingly. thanks for the article, but maybe you can help me a bit more. I’m stuck at the point where speed booster should work. I get 70/100 because of the css/js block rendering that I am unable to load after editing the plugin function page. What am I missing? What do you mean by after editing the plugin function page? What you edited? After using tag div booster plugin editing the function.php. in the passage where You have to insert the id of the CSS and Java that are blocking the render. I’m a mess to write that down, but i Simply followed the official newspaper’s guide. In the latest updates, tagDiv has discontinued the development and support for td SpeedBooster plugin as it is creating issues with the theme functionality. A new solution to this will be available soon. hi, sir i have followed the guide you share, right now i am using wp-rocket plugin and in File optimization i am using this https://prnt.sc/myblcu settings, but sometimes the td-blocks appers incomplete in pages like i have tested in incognito mode and saw same results, also sometimes theme header loads in bigger height, please guide me how to use it, and one more i have added the codes you have provided and i am also using wp-rocket i saw some similarities in settings will this cause any issue. This helped a bit for the desktop speed, and a smidge for mobile. Though I’m wondering if this is based on solely using what comes with Newspaper and not with extra plugins? I know that would definitely affect things, but I’m just trying to narrow down what I can or should cut to raise the number. I love a bit too many features of the theme to cut it, but it’s getting tempting. The mobile theme plugin comes with the theme bundle provides better speed than a responsive version of the theme. May I know which cache plugin you’re using? If you are using server-level cache, ask your provider to lower Cache Timeout. Hope this will help.